Click image to open and then right click to save to your computer. Media outlets and partners have our permission to use photos and video footage posted on this page. 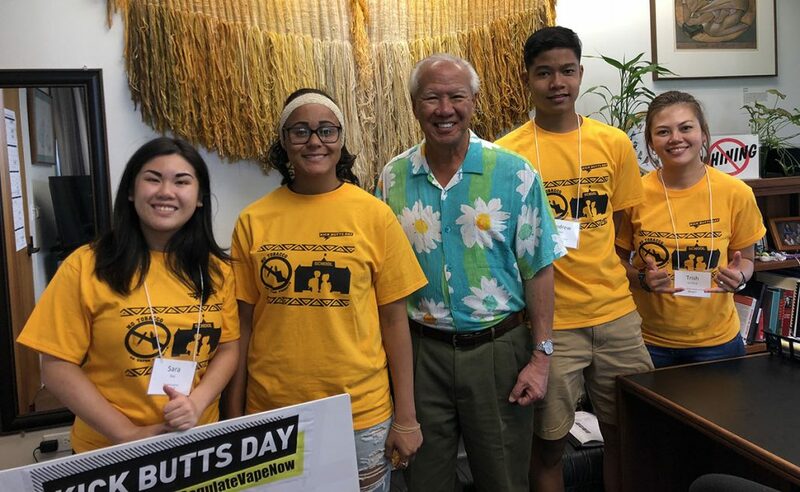 Rep. Takayama supports tobacco-free buffer zones! 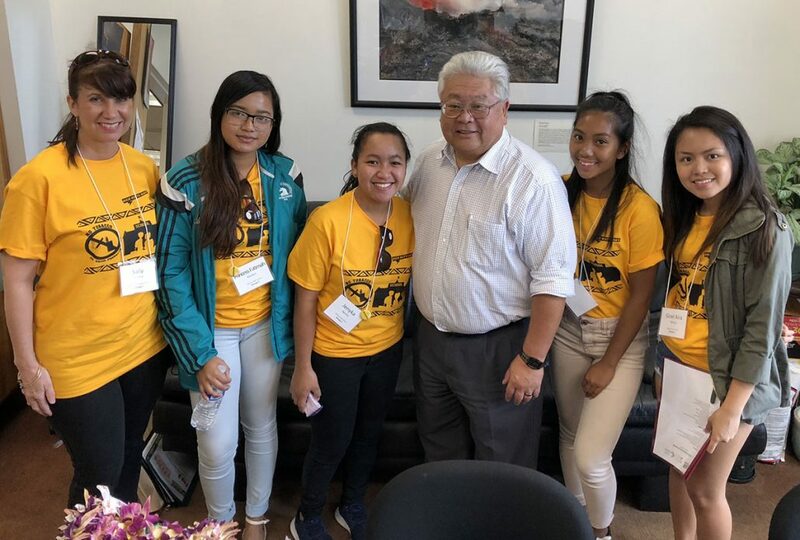 Rep Onishi is a big YES! Hard questions but good discussion with Rep Nakashima! Videos may be used freely by partners and media. 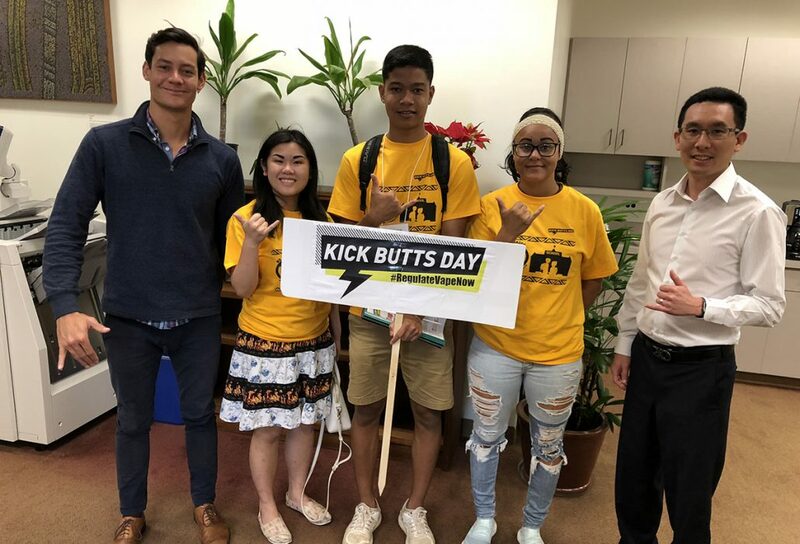 HONOLULU, MARCH 20 — Today’s Kick Butts Day rally at the State Capitol drew more than 60 youth advocates from six islands to urge the legislature to pass Senate Bill 2304, which would establish tobacco-free buffer zones around preschools, public and private K-12 schools, and public playgrounds. 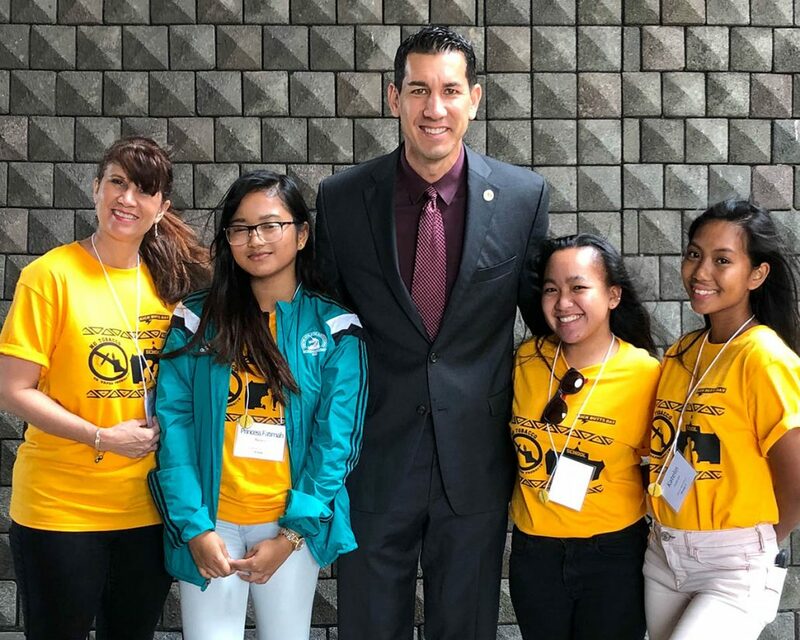 Organized by Coalition for a Tobacco-Free Hawai‘i and its parent organization, Hawai‘i Public Health Institute, the event was part of a national youth movement to stand up to Big Tobacco and Big Vape. 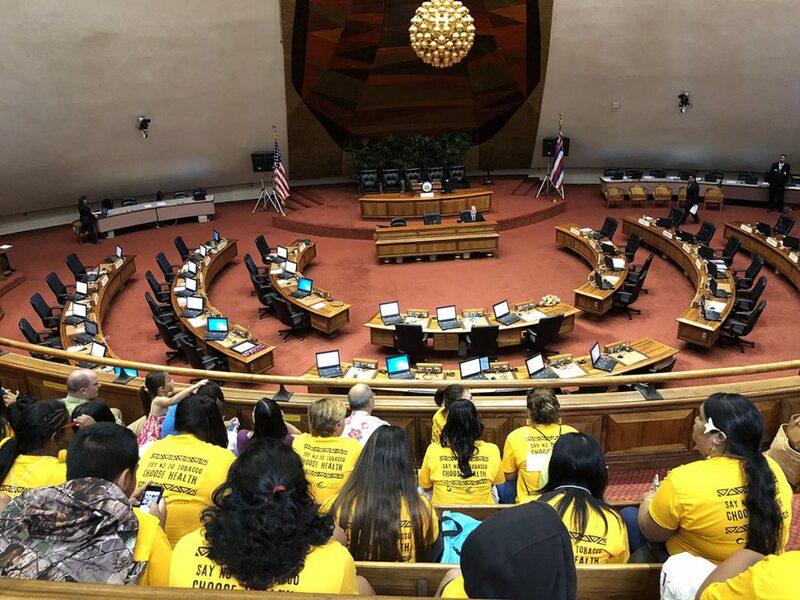 Attendees received advocacy training, marched and sign-waved, rallied with elected officials, and participated in dozens of one-on-one meetings with members of the legislature. 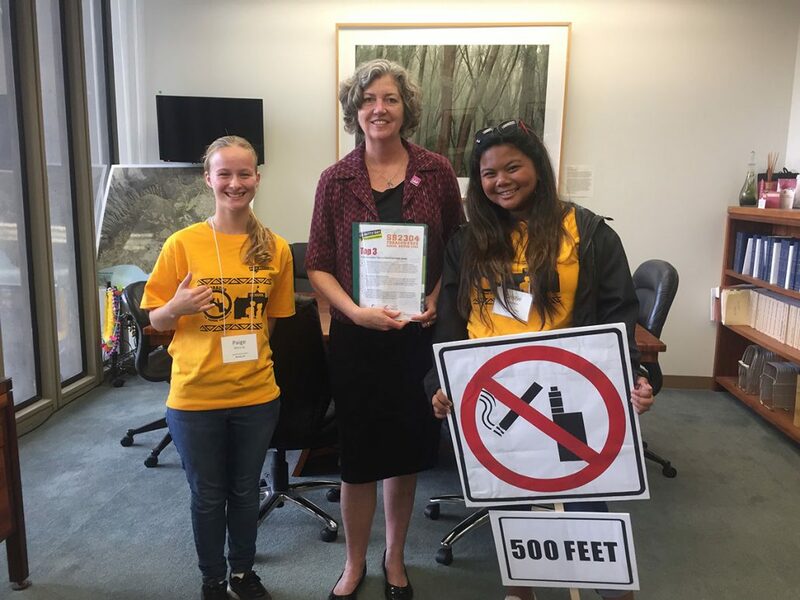 Senate Bill 2304 will help to reduce the density of tobacco outlets around schools and other areas that youth frequent. 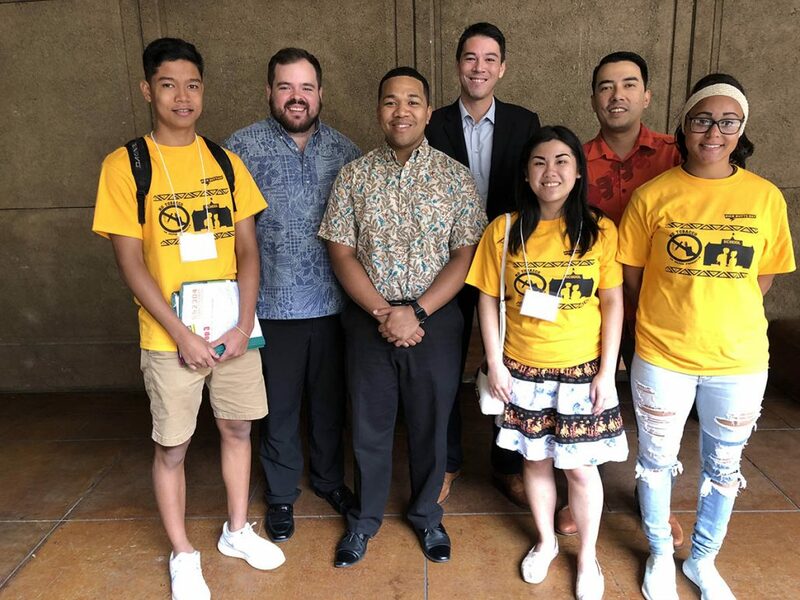 Available data shows that there are more than 88 public and private schools in Hawai‘i within 500 feet of tobacco and electronic smoking device retailers. 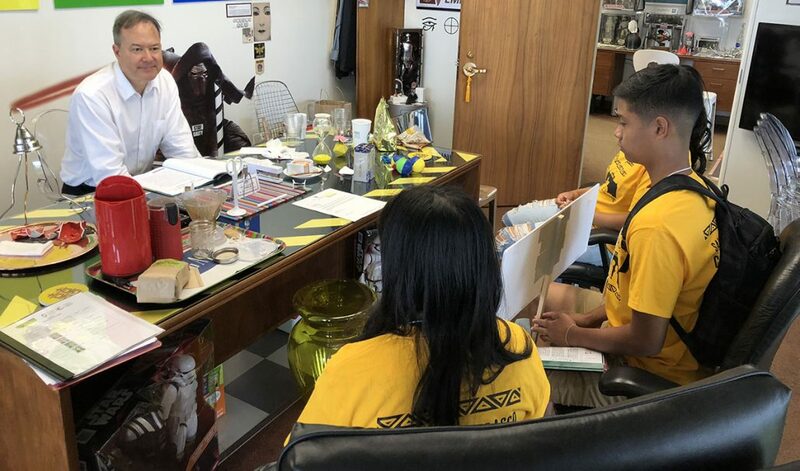 Many, including the youth advocates present today, believe there is a direct correlation between the density of tobacco retailers and youth use rates. 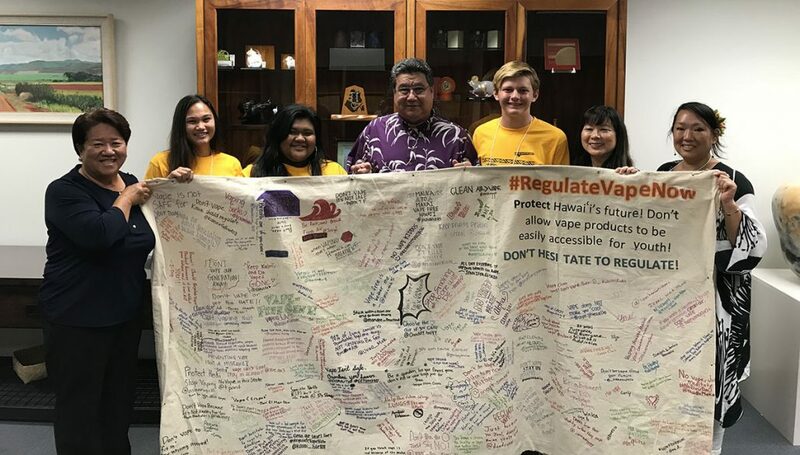 To further tackle the rise of vaping, advocates also urged legislators to support Senate Bill 2654, which would permit and license retailers of electronic smoking devices (ESDs), tax disposable e-cigarettes and e-liquids as tobacco products, and restrict online purchases of cigarettes. 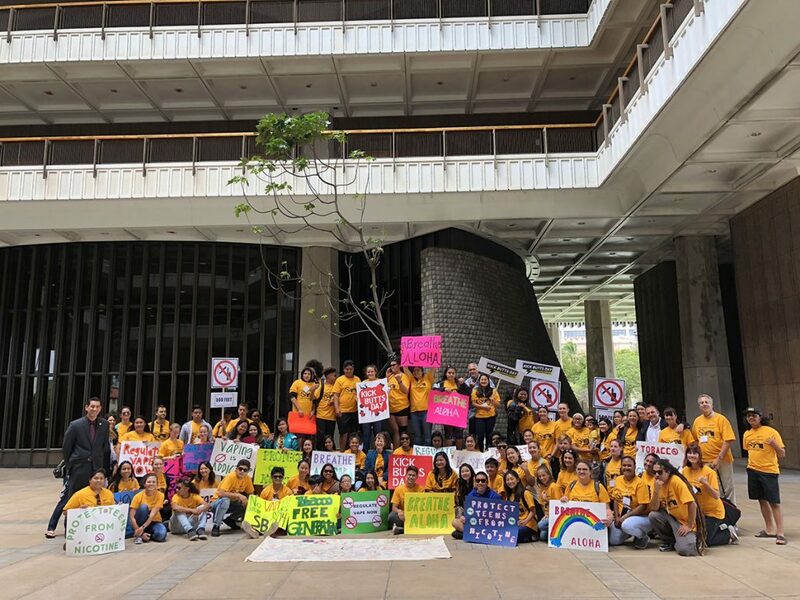 Price increases are a proven strategy to reduce consumption while permitting and licensing would allow the state to know who is selling e-cigarettes in Hawai‘i and work with merchants to educate and enforce current tobacco laws. Restricting online sale purchases of e-cigarettes would close a loophole in our tobacco 21 law. The Surgeon General has confirmed that e-cigarettes are not harmless. Their vapor contains nicotine, heavy metals such as nickel and lead, and the same compounds found in car exhaust. Nationally, however, more than a third of youth survey respondents believed vaping to be harmless (National Youth Tobacco Survey 2016). Furthermore, the latest numbers paint a bleak picture about youth adoption rates. 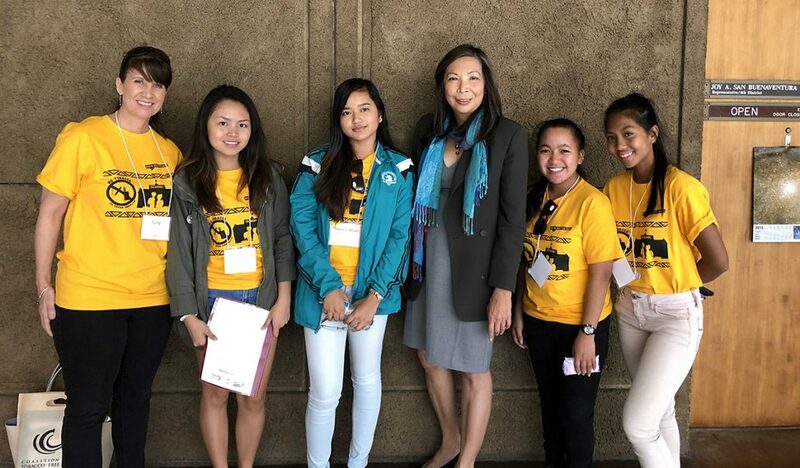 In Hawai‘i, 25.5 percent of high school and 15.7 percent of middle school students use e-cigarettes (Youth Risk Behavior Survey 2017), an alarming increase from previous years. 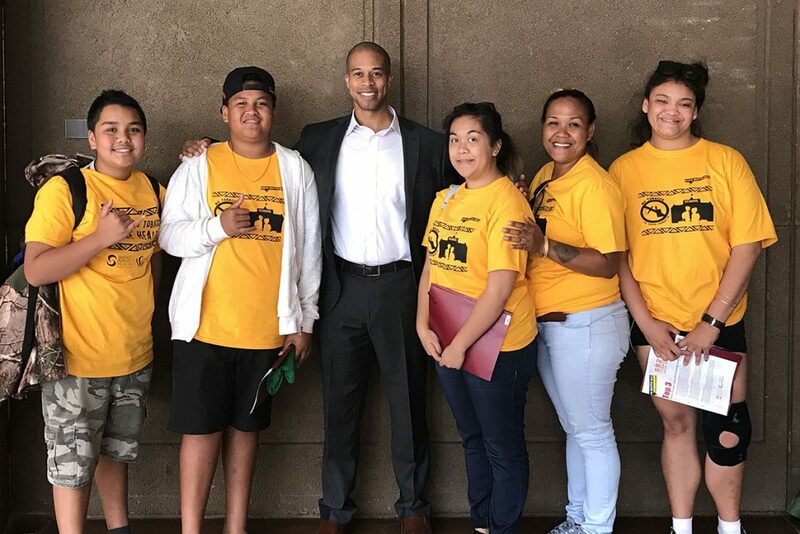 Joining Senator Baker to speak to the youth advocates were the Governor’s Chief of Staff Mike McCartney, Representative Matt LoPresti, Senator Josh Green, and Senator Kaiali‘i Kahele. 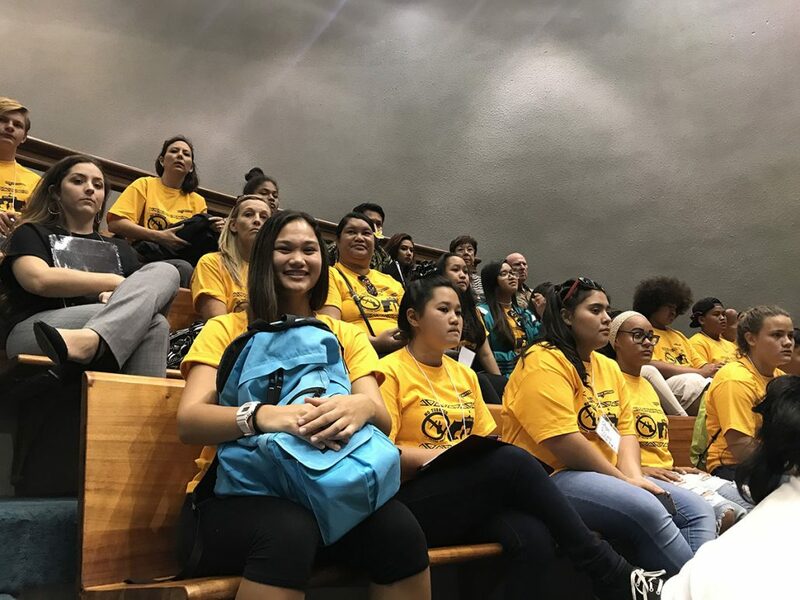 Just as many of the youth advocates were arriving back home, both Senate Bill 2034 (tobacco-free buffer zones) and Senate Bill 2654 (ESD regulation and tax) passed out of the House Consumer Protection and Commerce Committee today and will now be moving on to their final committee hearings. 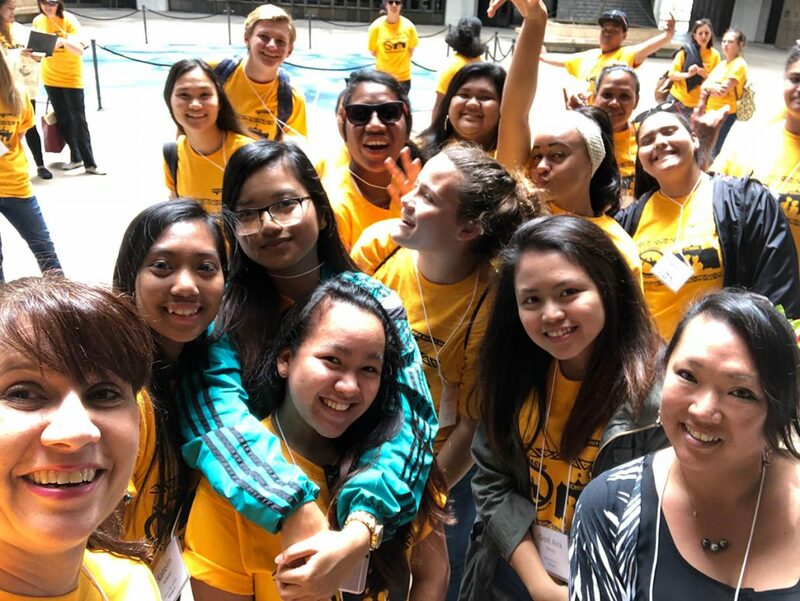 Hawai‘i Public Health Institute (HIPHI) is a hub for building healthy communities. HIPHI helps others build capacity by providing issue-based advocacy, education, and technical assistance through partnerships with government, academia, foundations, business, and community-based organizations.